If you like planes, trains and automobiles, then this unit is for you! Each week, students will build motorized models of a dragster, a railroad crossing gate, an airplane and more. Explore the history of transportation from horse and buggy and trains to the development of the automobile and flight. Each lesson introduces terminology related to each mode of transportation, like “lift and propulsion” for the airplane, as well as describes how each “vehicle” works. And the best part is — the models are so much fun to play with! These models rock, roll and spin! 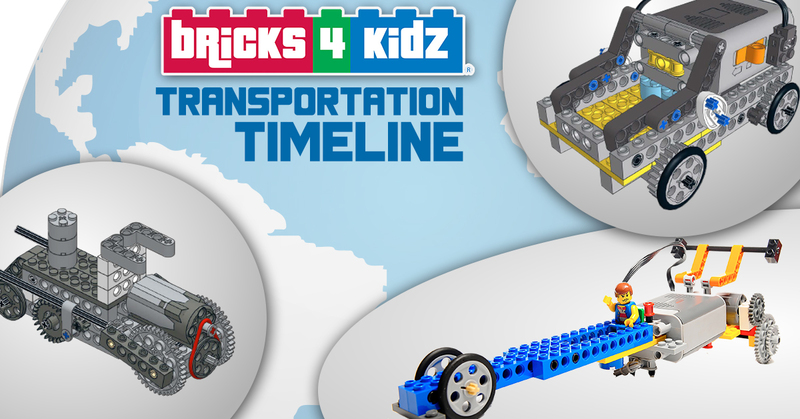 Your child can follow our step-by-step model plans to create their vehicle, then customize it to their own specifications and take their mini-figure for a ride!